Let’s talk about the fruits used in the idioms of daily life. Many terms from the fruit category are invoked for describing human beings or human behaviors. For example, it may be good at first for a worker to be the apple of the boss’ eye because it means that the person has become a favorite of his superior. In a different scenario, however, a worker who is genuinely capable at work and received promotion based on merit might be accused of being the apple of the boss’ eye due to the tall poppy syndrome. This is a social phenomenon whereby the talented ones are often resented and criticized for standing out in the crowd due to peer-group jealousy. Whether it is the apple in sight, or the upper poppy, a person may enjoy a smoother path at work although he or she may be the fruit of envy among the colleagues. 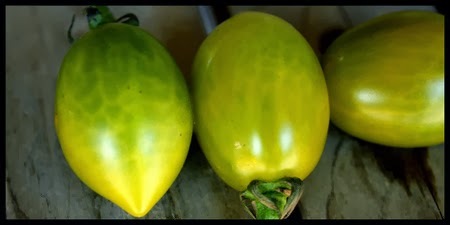 I would call the associated jealous crowd green tomatoes, based on the name of a tomato species called Green Envy. The green tomatoes would more likely to consider the successful peers as the bad apples. It is hence twice as hard for the so-called bad apples to maintain a cherry condition with their colleagues, especially if they are in the top banana positions. For one reason, the second bananas or subordinates may have the tendency to turn into sour grapes. In Malay, we use sweet corn to describe a person's attributes. A person is inexperienced if he practices a particular trade for setahun jagung [planting sweet corn for a year]. 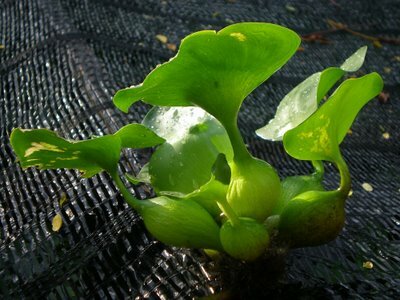 If a person is a green horn, he may be regarded as seumur jagung [as old as sweet corn], which is about 100 days (cf. Kamus Dewan, 2007). Furthermore, jagung kampung [village sweet corn] is a term invoked for referring to a hillbilly living in seclusion and remaining oblivious to the outside world. While a Malay lady’s beautiful calf may be considered as resembling the bunting padi [a paddy bulge] a woman’s pregnant stomach may be described as resembling the bunting keladi [the bulge of water hyacinth] (keladi in general may also refer to yam or taro; see Sew, 2009 for more examples of Malay idioms containing fruit references). In the 1940s, my grand aunt was considered a delicate beauty in her hometown. She was called ong-lai-huey in Hokkien literally meaning the pineapple flower. (Beauty in this context is beyond the standards of the Hollywood circle). The household received fresh seafood delivered by the soldiers during wartime. The fruit idiom was an interesting reference that incurred abundance for the family and sustained personal success in her strides, i.e. generated two marriages, the second after the death of her first husband. Marriage was a strategy to fight off poverty and the hardships of life in the 1940s for very many illiterate Southeast Asian women. Half a century ago, singlehood was a social taboo begetting gossips and hate speeches insinuating that the (female) singles were worthless (see the recent Singapore's Media Corp television drama serial The journey: A vogage). It is still the case today in certain Malay communities (Maznah Mohamad, 2013). Indeed, life is not a bowl of cherries given the fact that there are always rotten apples and sour grapes in our surrounding. We have to learn how to cherry pick our friends and associates. Hence, it is necessry to act intelligently in different situations as we may have to pass the olive branch in one occasion and be as cool as a cucumber in another. As a rule of thumb, we cannot afford to not know beans about our company, not least the ignorance may be an opportunity for others to upset the apple cart. Kamus Dewan [Malay Dictionary]. (2007). Kuala Lumpur: Dewan Bahasa dan Pustaka. Maznah Mohamad. (2013). Globalisation and gender dissonance among poor Malays. The 14th Malaysia Singapore Forum, 9-10 Dec. Universiti Malaya, Kuala Lumpur, Malaysia. Sew, Jyh Wee. (2009). Semiotik persembahan wacana [Semiotics of discourse performing]. Kuala Lumpur: University of Malaya Press.